Phoebe’s Ride » Bicycling for the Heck of It! « A Car Free Sunday…at least for me. Phoebes Ride, a photo by MPR-Photo on Flickr. 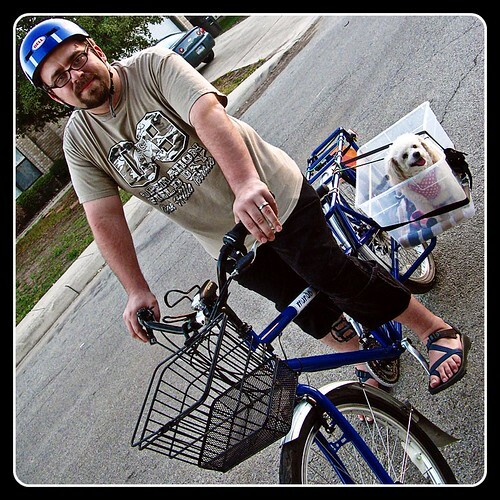 My dog’s first ride on the Yuba Mundo.